Romania is a unique country with breath-taking landscapes and valued treasures. Among them, you can count the sparkling natural mineral waters. Here we can find springs sprouted as a result of natural phenomenon that have started deep into the volcanic mountains and go all the way up to the springs in Țara Dornelor land where they are collected and brought daily to your home. A pure water is a valued resource for health, therefore as a result of a long period of research there have been discovered two new sources of nitrate-free sparkling mineral water: AQUA 2 and AQUA 3. The Carpathian Mountains is a unique hydro-geological phenomenon for mineral waters. The metamorphic rocks represent a geological structure wherein, after a long underground path, the meteoric water is naturally purified. Deep within the volcanic structures of Călimani Mountains, the carbon dioxide takes an upward journey, impregnating the deep areas of the naturally filtered water. The heavy fissured areas allow the ease of the sparkling mineral water deposits. Thus, by the means of drilling the heart of the hydro-mineral deposit can be infiltrated and a pure, nitrate-free water is obtained. The sparkling natural mineral water deposit is the outcome of a complex hydro-geological process. This process requires a long-time natural filtration of over 40 years, which takes place in the depth of the Oriental Carpathians (the Eastern part of the Călimani Mountains). The blending of the meteoric water and the CO2 takes place at a great depth in the volcanic andesite rocks of over 10 million years. The geological structure of the Carpathian Mountains contributes to the special qualities of the mineral water. 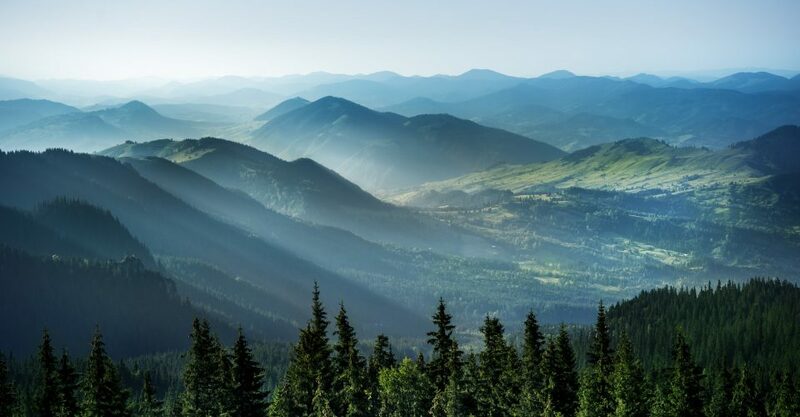 In these mountains, lie Europe’s last wild forests unspoiled by men, with the Bucovina valleys reigning over the Carpathians. The mountains, the secular forests which houses a unique fauna in Europe, the valleys and grasslands untouched by intensive agriculture or industrial activity, along with the geological structure of the volcanic mountains, they all lead to the existence of a superior quality mineral water deposits. “These newly discovered deposits, prove the fact that the Carpathian Mountains is a unique and special phenomenon worldwide. Here the ecosystem and the geological structure offers an unmatched purity of the water sources! This purity is reflected most definitely in the taste of water” declared Jean Valvis, President, General Director of Carpathian Springs SA.